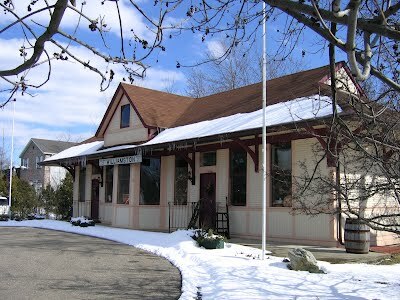 Saturday, 12 January 2013, 10 a.m. – 1:00 p.m.
As we have done the past two years, MARP is celebrating the New Year with a January 12 visit to the Williamston Historical Depot-Museum. The town of Williamston, located on the Red Cedar River, owes its early prosperity to the coming of the railroad in 1872, connecting Detroit to the state capitol and aiding the development of agricultural enterprises. Click Here for more information on the Williamston Depot-Museum. Our guest speaker is Z. Kris Wisniewski, Executive Director, Eastern Border Transportation Coalition. The EBTC is non-profit membership organization dedicated to improving the movement of people and goods between the United States and Canada. EBTC members are the transportation agencies of the U.S. States of Michigan, New York, Vermont and Maine and the Canadian Provinces of Ontario, Quebec, New Brunswick, Nova Scotia, Newfoundland and Labrador. Among the EBTC’s priorities is improving and expanding cross-border rail passenger service. In addition, we hope to have an update on plans and progress on the new East Lansing Amtrak station. Following the meeting, we will enjoy our usual no-host lunch at the Tavern 109, 115 East Grand River in Williamston. Tuesday Books, 137 W. Grand River Ave.